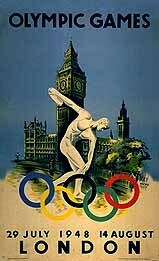 The 1948 Summer Olympics, officially known as the Games of the XIV Olympiad, were an international multi-sport event which was held in London, United Kingdom. After a hiatus of 12 years caused by World War II, these were the first Summer Olympics since the 1936 Games in Berlin. 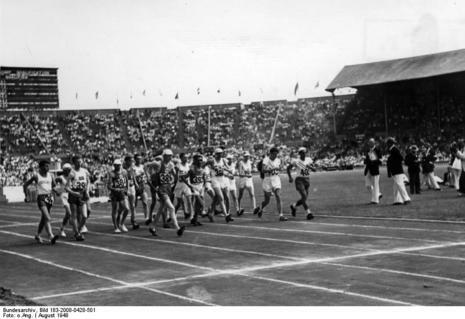 The 1940 Games had been scheduled for Tokyo, and then Helsinki; the 1944 Games had been provisionally planned for London. 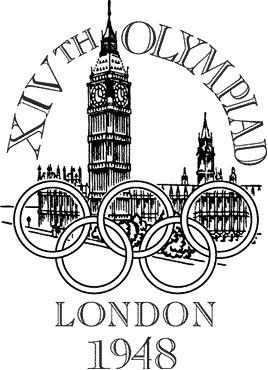 London was the first Olympics to have a political defection. Marie Provaznikova won a gold medal with the Czechoslovakian gymnastics team and then refused to return home, citing "lack of freedom" there after the country's inclusion in the Soviet bloc.